JOHN KAEFER is a composer for visual media and the concert stage. A trusted collaborator known for his imaginative musical voice and distinctive scores, John’s varied work is praised as “steely and hard edged” by The Los Angeles Times and “vividly scored” by The New York Times. He holds a Doctor Of Musical Arts degree from The Juilliard School. Newly scored feature films include A SCORE TO SETTLE starring Nicolas Cage and Benjamin Bratt, ONLY starring Leslie Odom Jr. and Freida Pinto (world premiere at the 2019 Tribeca Film Festival, co-composer), and the feature documentary THE DIVINE PLAN from director Robert Orlando. Other recent film scores include HOW TO BE ALONE starring Maika Monroe and Joe Keery (premiered at SXSW 2019, co-composer), LILY OF THE FEAST starring Paul Sorvino, REQUIESCAT and RECONNECTED (starring Barbara Bain) from director S.J. Main, as well as the feature documentaries SILENCE PATTON and A POLITE BRIBE. John’s scores can be heard at major film festivals throughout the world, including SXSW, Tribeca, and Cannes. Recent television projects include the drama series SEQUESTERED and the TV Movie PARTY BOAT starring comedian Jay Mohr (both for the Sony Crackle Network), as well as the Main Theme and Thematic Music packages for ABC's GOOD MORNING AMERICA, 20/20, and the primetime show WOULD YOU FALL FOR THAT (co-composer). Other recent work includes the drama dance series MAKING MOVES for the Fullscreen Network and the 3-Part documentary series DANCE SCHOOL: JUILLIARD for PBS and The Documentary Channel. John's music is widely featured in popular series on NBC, ABC, FOX, CBS, and the Discovery Network, as well as Netflix, Hulu, and Amazon, among many others. Active in games, John’s work includes the score for Microsoft Studios and Remedy Entertainment's live-action series QUANTUM BREAK, developed exclusively for Xbox One. Hailed as a "masterpiece" by Gaming Trend, the revolutionary game blurs the line between episodic television and cinematic gameplay, integrating the two into one seamless, uniquely immersive experience. It is currently the #1 best-selling Microsoft Studios release to date. John has provided music for national advertising and sonic branding campaigns for a diverse range of clients, including Mercedes, LG, Ford, and Marriott. A recent highlight includes music for the UN's World Food Programme "Stop Hunger, Start Peace" campaign, featuring art by acclaimed graphic designer Noma Bar and voiceover by actor Liam Neeson. As a composer for the concert stage, John has enjoyed performances worldwide at major venues including Carnegie Hall and Lincoln Center in New York, Wigmore Hall in London, and La Schola Cantorum in Paris. His work continues to be programmed frequently by leading musicians and ensembles. 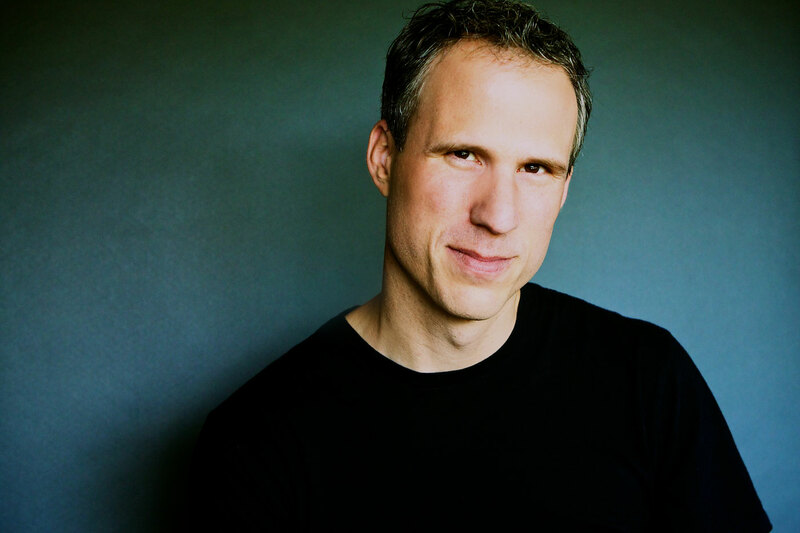 Recently he conducted the Hollywood Chamber Orchestra in the world premiere of his STATES OF MOTION, a three movement concerto for piano and string orchestra, featuring pianist Molly Morkoski. John has received awards from the American Academy of Arts and Letters, BMI (concert music and TV/film), ASCAP, and the Barlow Endowment, among others. He currently serves on the Board Of Advisors for Composers Now and is Director of the BMI Foundation Pete Carpenter Fellowship. In addition to The Juilliard School. John also holds degrees in composition from Yale University (MM) and the Eastman School of Music (BM). He currently teaches film scoring composition at New York University. When not writing music, John enjoys running (NYC Marathon PR: 3:34), skateboarding, and spending time with his wife and two sons. He also loves playing with his synthesizers, especially the Moog Voyager and DSI Prophet 12. John is represented by Evolution Music Partners in Los Angeles. Score for live-action TV series within the game.